This entry was posted on Thursday, November 4th, 2010 at 3:19 pm	and is filed under Miscellany, News from the front. You can follow any responses to this entry through the RSS 2.0 feed. You can leave a response, or trackback from your own site. 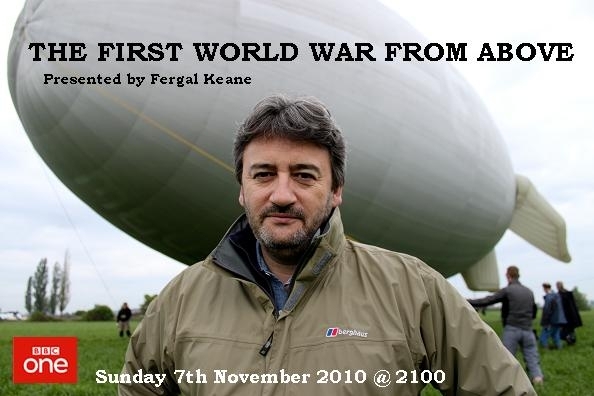 It was amazing, I recorded it on my generic satellite hard disk recorder 😉 … simply stunning – although a bit more of the air-borne film would have been appreciated … but as Jeremy says, nice to see a bit more money and “air time” being given to WW1 programs.